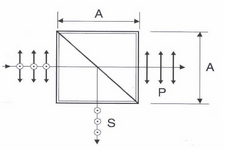 Beamsplitters are used to separate or combine two beams of light. Plates are used for most laser applications as they exhibit low absorption. Cubes are convenient, protected form for low power applications. 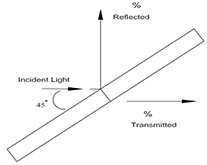 Polarizing beam splitters provide an extremely efficient method of driving a randomly polarized incident laser beam into the “S” and “P” components of the beam for specific wavelength or wavelength ranges.